Travelling the world used to be a dream which was unattainable for most people. Not every one of us is born with a silver spoon in our mouth, to be able to do whatever we want, when we want. However, as technology and the tourism industry progressed with time, realizing this dream of exploring new places has become a reality for many people. The world grew smaller, cheap international airlines made their ways and the internet was full of ways and opportunities to properly research about any place from your home. Today, planning a budget trip is not an impossible dream at all. And if you want to be struck by the wanderlust which resides inside you, here are a few tips to help plan an awesome vacation without burning a hole in your pocket. 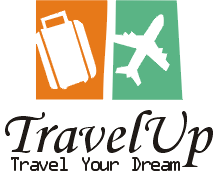 Researching a destination with the help of the best online trip planner you can find is a necessary step if you want to be within your budget. Different places need different amounts of budget to travel, and it also depends on the attractions you are visiting or your lifestyle. Not onlythe cost of living can vary heavily from one city of a country to another city of the same, also it depends upon the way you choose to travel. Make sure to learn all about the cheap ways you can spend your days while you travel, to have the best experience. Budgeting plays a central role if you want to have a successful, enjoyable holiday on a budget. Find out about the current conversion rates and prices of various necessary aspects before you head out. Always break your budget up into days, and keep every day’s money separate. It will be much easier to manage your budget on a day-to-day basis, rather than roaming around with all your money all the time. When we think about hostels, all we think about are dormitories. However, if you like to have some more privacy, you won’t have to go and look for a hotel. Most of the hostels have private rooms with even en-suite bathrooms which they offer at a very nominal price. Booking one of those rooms will save you quite a lot of money, but remember to book way in advance, as they tend to sell out pretty quickly. Not every city has great public transport systems, so you may be forced to book a private cab while you enjoy your holiday. However, try and talk to other travellers to share your cab with them. You can save a lot of money by following this. Use app-based cab-share services like Uber Pool, BlaBlaCar to easily book a shared cab. One of the best ways to keep your travel expenses at check is to work while you travel. Working at your hostel or at a city bar have always been there. But with the emergence of online content creators, there is a whole new world of possibilities. You can work as a travel blogger, travel photographer, travelvlogger, or a freelance content writer while you are travelling. The money will keep coming, and you won’t have to worry about running out of money ever again!